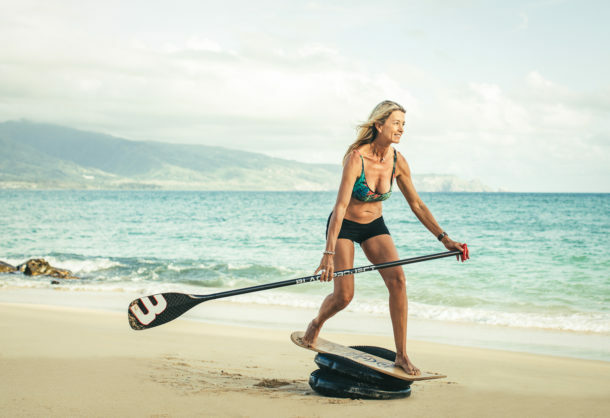 Whether you paddlesurf, cross channels, go the distance, love downwinders, or simply don’t want your legs to fatigue and fail, read this entire article for a thorough run down on the how. 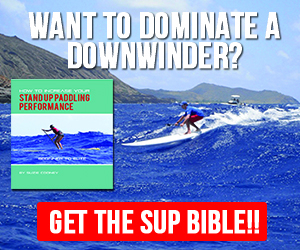 Next, watch my video on how to increase your TOTAL leg SUP strength and endurance and get super fired up! 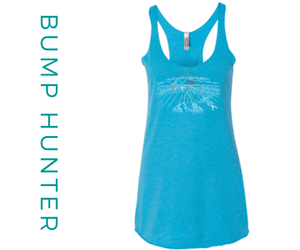 Do your legs cramp at mile 3, 5 or 20 when you paddle? Are you slow off the start of every race? 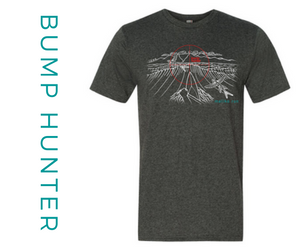 Are you constantly dealing with your feet falling asleep at a certain mile point during a distance race our long exploring adventure? 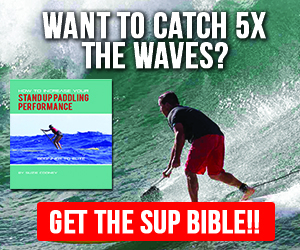 Want to maximize your training time and be as efficient and effective as possible when training your legs for SUP? You’ve done a thousand lunges, squats and leg presses and you still have leg failure on a critical buoy turn, not carving as deep as you want on you’re bottom turning on a wave? If you’ve answered yes to any or ALL of these questions, then keep reading and watch my new video on how to conquer all the above like a pro! How to train effectively in minimal time to maximize your results. Show you the gear it takes to get the job done. 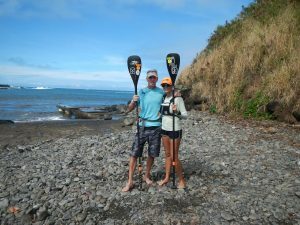 Teach you how to incorporate this one simple workout no matter what level of paddler you are. 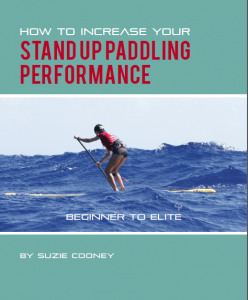 First, I’m going to tell you that your legs are the “strength” foundation of TOTAL SUP Performance. Your core is where your power begins but the legs must then stabilize, deliver power to the board and be strong for the next stroke, the next 5 or 15 miles, the next glide or the next wave. You’re probably discovered by now how important your leg strength is overall for total enjoyment and performance. Remember your first time just standing up on the board how weird it was for some of you to just trying to balance, let along put the blade in the water to get going? Now you’re more seasoned and craving more knowledge and information to be better and better and with that comes new ways to “load” your legs like never before. When I talk about “loading” the legs in my training theories and leg exercise progressions, I’m referring to how one can literally and externally create a “dynamic force load production” beyond our own muscle mass. I have ways in my training to do so away from our center of effort or directly over it, down and through to target the muscles(s) or groups of muscles to extreme fatigue. Simply stated a “dynamic load” is a force on a structure that is always changing. Pretty cool right? I have a million in one ways to do this. This is just one example I’m sharing with you today. 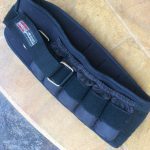 By using the 10lb weight belt shown in the video, you will create a unique and challenging force at many variables as you walk. Now please pay attention here. If you suddenly change your walk from a normal flat surface to an incline of any degree or better, walk in deep sand, boy oh boy will that load change, and therefore the stress on your legs will also change. Make sense? Next, think about paddling and leg strength. The loads on our legs change from stroke to stroke based on so many variables. On a downwinder, the ocean forces us to constantly change direction, stroke ratio and total effort to catch glides. The “loads” to our legs are always changing with that. Heck besides legs, how about cardio? The pressure and strength that our legs deliver to the board in turn affects how you load the rails right to left and towards the nose for board speed, to pass someone or more importantly how explode or not off a flat water race start. 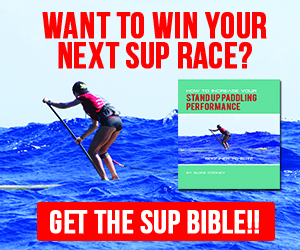 PLEASE LIKE LEAVE A COMMENT ABOUT YOUR SUP LEG TRAINING! NOTE OF CAUTION: If you suffer low back pain or unsure if you can handle a full 10lbs, start simply by taking half of the weights out of the belt. You can always add more later. Be sure to check with your doctor if you have any concerns. Also don’t forget I can train you anywhere in the world via SKYPE. Take me to your gym or if you just want a consultation or two or have me analyze how you can tap into more total body power for SUP, it’s easy and fun. Learn more here. Coming to Maui? 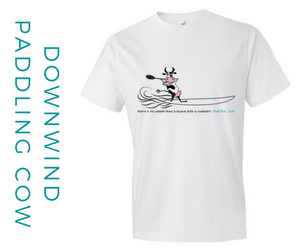 I can also be your downwind coach and guide. It’s truly life changing. Contact me through this website. I highly suggest you book in advance. Downwind season is typically May through September. Please also check out my new website. 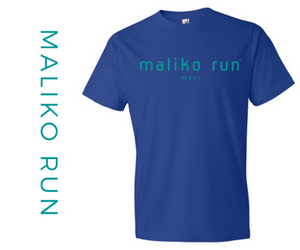 MalikoRun.com where your downwind passion begins and where you can get all of your cool downwind paddling gear. 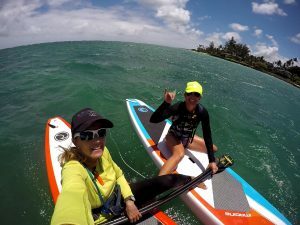 I’d love for you to leave a comment and tell us about your training and how this exercise tip might help your SUP game. Please like and share. We love the love!